Yes, you are reading this correctly. 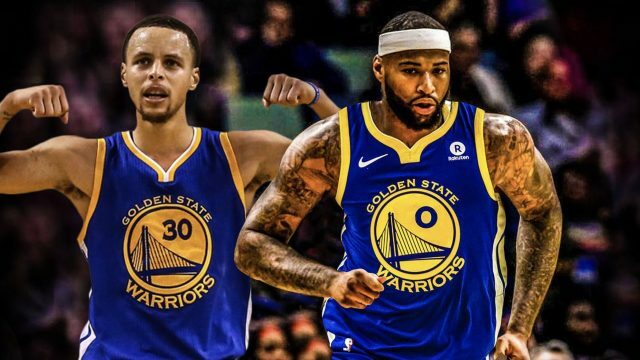 DeMarcus Cousins has just signed for the Golden State Warriors. Surely they’ve ruined the league this time. Well, the important part of the NBA Draft is over, so let us gleefully pick through the wreckage and laugh at the losers. Monday. Hooray. Overnight, LeBron’s Cavs were stopped by a bunch of kids, the latest Newspoll confused us and the Toronto police succeeded where the Avengers failed. Sport is defined by those who win. But for those who cannot, the method of losing to win comes to the fore – otherwise known as tanking. Lord, it’s early. What happened while you were asleep? Well, truth bombs hit Greens HQ on QandA, KD moves to GSW, and the paparazzi foiled once and for all. LeBron James bringing his hometown Cavaliers their first championship is a Hollywood tale. Problem is, it’s been done. Morning, all. Trump bends to the new Muslim Mayor of London (sort of), a ball chooses a new career, and an MP might be looking for a new one. JP Gibson: The next LeBron James? Brett Pearce brings you this week’s bit of good news — Five-year-old JP Gibson was recruited to the Utah Jazz basketball team for one excellent day.